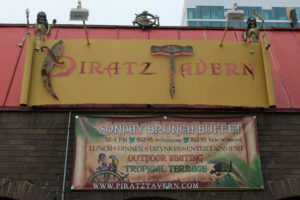 In 2007 Tracy Rebelo successfully hosted a pirate-themed party, and the triumph encouraged her to make a living by combining booze and the buccaneer lifestyle hence the inception of the Piratz Tavern. 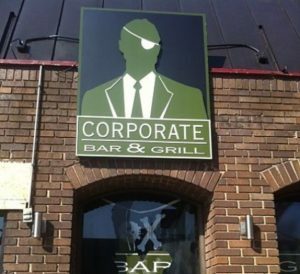 Located in Silver Spring, Maryland, the establishment was populated by employees who were taking the pirate thing seriously. They wore appropriate costume and spoke with fake British accents and pirate lingo. Unfortunately most of the pirates acted like customers and partied on the job which drove away actual patrons. Rebelo herself was not an experienced manager which was evident when she had her husband Juciano work in the kitchen despite barely having any background in cooking. With the customers dwindling and her debt skyrocketing Rebelo decided to call for Jon Taffer and Bar Rescue to help with the tavern before her ship sets course for Davy Jones’ Locker. Taffer’s wife Nicole entered the Piratz Tavern to gain a customer’s perspective on things. She noticed that the costumes of the female staff were quite revealing, not to mention the suggestive nature of some of the pirate décor on the walls. She also noticed that the staff were too friendly towards her which led to her deduction that the ‘pirates’ knew who she was. Taffer’s backup plan was to send Bill and Jen Rodenhiser, the owners of The Bone bar which was once helped by Bar Rescue in a previous episode. 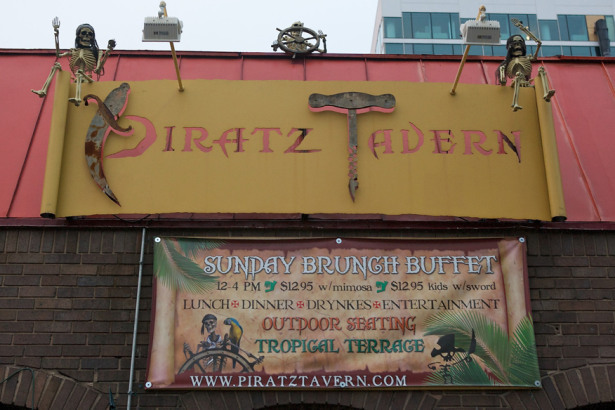 The Rodenhiser couple visited the establishment wearing pirate garb and they were virtually ignored by the staff, and the food and drink that was served to them was not that delectable. Taffer then entered the premises and met with Rebelo after learning about the experience of the Rodenhisers. She tells him that the bar was her dream despite having difficulties in making money and Juciano even exacerbated Taffer’s boiling temper by claiming that the food they serve was good. Taffer recalled the experience of the Rodenhisers but Juciano was quick to blame the customer instead of admitting that it was because of his bad culinary ability. In the staff meeting that followed Taffer went straight to the point that the bar was serving food and drink that people can’t consume. Some of the costumed staff even took offense at Taffer’s remarks about their getup. To work on rescuing the bar Taffer called for backup in the form of renowned chef / restaurateur Josh Capon, Diageo mixologist Elayne Duke, and staff trainer Jessie Barnes. Capon checked out the 18-page menu of Piratz Tavern which contained more than 140 selections, and such a huge number of options actually fatigued the customer instead of enticing them into making an order. Capon then tested Juciano’s culinary skills with the bar’s signature dish called The Burning Bits, and it ended up with Juciano himself spitting out his bite when he tried out his own cooking. On the bar area Duke noted the concoctions that were mostly huge amounts of sugar with a mix of different kinds of booze. Taffer then relayed to Rebelo the importance of lunch and happy hour to the working crowd of the area and that their piracy had to be thrown overboard. After much reluctance Rebelo eventually relented and let Taffer be in control even if it meant changing everything from the ground up. Rebelo spilled the news to the staff and there are those who did not like that their golden age of piracy is about to end. The following day Taffer began his work on removing the buccaneer theme and the staff returned in civilian clothing and not in costume. Capon brought in a new line cook named Jason to help in teaching Juciano some much-needed kitchen skills. The trio worked on revamping the bar’s menu that best caters to the business community during lunch and after working hours with dishes that are meant to be shared. Duke taught the bartenders a couple of specialty mixes for the new drink menu and the importance of using the right kind of ice to prolong the beverage’s quality. Barnes taught the staff how to serve and interact with customers outside of the pirate persona they got so used to. At nighttime the bar went for a soft opening with a long line of customers flocking in to try out the new things the Tavern had to offer. The employees were subjected to intense pressure at the large number of patrons ordering food and drink. Some of the customers jumped ship when their orders weren’t served after waiting for almost half an hour. Juciano was not in his best attitude during this stressful night which resulted in him walking out of the bar. Jason took control of the kitchen in Juciano’s absence and tried to catch up on the backlog of orders. 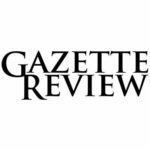 The problems piled up but the staff persevered and they were rewarded with praise from the customers who loved the new food and drink of the bar. After the soft opening Taffer had his team renovate everything. While the Tavern was being rebuilt Taffer had the staff go around the area to spread the word about the reopening. 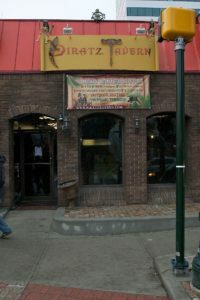 Once the renovation was done the Piratz Tavern was renamed to Corporate Bar and Grill. The major change was initially met with ambivalence from the staff but they eventually accepted it after seeing the interior and the patio. The 18-page menu was shrunk down to a single piece of paper with fresh new choices of grub and booze. Taffer had two new equipment installed inside the bar namely the Smartender Automatic Beverage System which makes bartending a lot faster, and the Ellickson Draft Master Table which is essentially a self-service beer tap. Customers enjoyed everything the Corporate Bar and Grill had to offer, the staff became a cohesive unit, and even Juciano exhibited a big change in his attitude. However Rebelo was not really happy with the transformation of her pirate haunt which caused Juciano to slowly revert to his old ways. A few weeks after the rescue Rebelo closed the bar and had it reopened again as Piratz. Their loyal customers celebrated the return to the old ways, and the Rebelos basically got rid of everything Taffer worked on. The staff burned down some of the things Bar Rescue gave them, and they even recorded the act and turned it into a music video (click here to watch it). Taffer was obviously fuming upon learning what they did to his work. Piratz Tavern received mixed reviews on Yelp until 2015 when the doors were finally closed down for good. Tracy indicated that reruns of the episode helped fan the fires against their establishment. 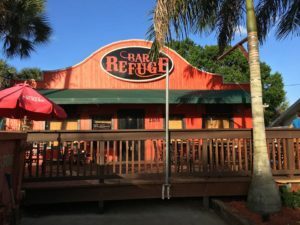 The next year the Rebelos moved to Melbourne, Florida, and opened Bar Refuge, with Tracy saying that it was their refuge from Bar Rescue hence the name. The Rebelo couple met with Taffer during the Bar Rescue follow-up episode Back to the Bar, and it seems that the three have finally moved on from their previous encounter. Bar Refuge is amassing good reviews on Yelp and Facebook. Click here for their Facebook page and click here for their official website. Previous articleTyler the Creator Net Worth 2018 – How Rich is He Now?